Above, the Glover Mansion on Eighth Street, when it was still a residence, prior to 1943. Photo courtesy of the Glover Mansion. Built in 1888 – some sources say 1889 – the Glover Mansion, located on Spokane’s lower South Hill at 321 West Eighth Avenue, is one of Spokane’s oldest and most beautiful historic buildings. Nineteenth-century entrepreneur, James Nettle Glover, the self-proclaimed “father of Spokane,” built the home fifteen years after settling in Spokane. Glover first arrived in the area in 1873 and opened a trading post-style mercantile, catering primarily to the local Indians. After having become very successful through this and various other business ventures, Glover commissioned Kirtland Cutter of the architectural firm Cutter and Poetz to design a new majestic home. At 12,000 square feet, this elaborate Tudor-style home is one of the largest historical residences in Spokane. Registered on both the national and local historic registers, the Glover Mansion is one of Spokane’s best-preserved architectural treasures. No expense was spared during the building of the mansion. 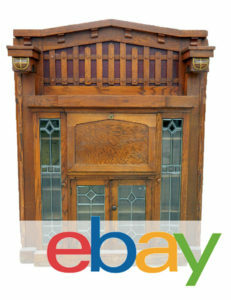 Leaded, stained glass windows are abundant, and wood from ten different areas of the world were shipped in for the elaborate paneling, which is used throughout the home. 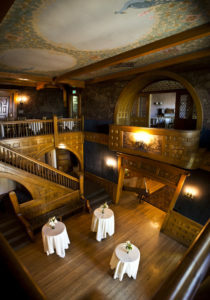 The mansion features a grand hall with twenty-five foot ceilings, which is surrounded by an elaborate second-story mezzanine. With many distinctive architectural features, such as arched doorways, built-in reading nooks, and elaborate exterior stonework, the Glover Mansion was one of Kirtland Cutter’s first projects that showcased the ornate and elegant style for which he became famous. The Great Hall features 25 foot ceilings, and it is surrounded by an elaborate second-story mezzanine. Photo courtesy of the Glover Mansion. The Great Hall as it looks today. Find more info about the Glover Mansion at GloverMansion.com. 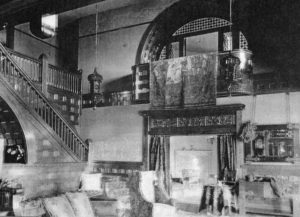 The ownership of the home through the early part of the twentieth century is difficult to trace due to several conflicting documents, but it is clear that the mansion changed hands often. Though a July 23, 1916 edition of the Spokane Chronicle cites a Mr. Charles Sweeney as purchasing the home from Glover for $30,000 (it cost Glover $100,000 to build), there are contradictory reports. Other records state that the property was purchased by a Mr. J. Y. Kessler of the Northwestern and Pacific Mortgage Company, as part of a multi-property sale. 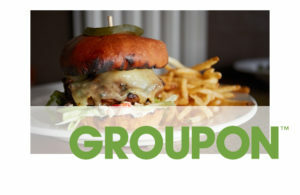 This entire sale price, including the mansion, was $36,000. 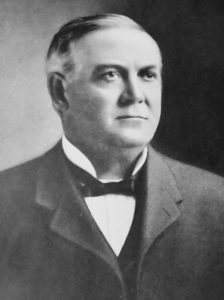 Then, in 1899, records show that Charles Sweeney purchased several properties, including the Glover Mansion, for $47,000. There is no known record of sale for the mansion from Mr. Sweeney to Mr. Welch until about 1916, but in a 1908 edition of the Spokane Chronicle there is a report on a society wedding taking place at the home of Mr. and Mrs. Welch at West 321 Eighth Avenue. In 1915, Charles and Emmeline Sweeney reportedly gave the home to the Saint Joseph’s Orphanage, a charitable organization based out of New York City. According to a July 23, 1916 edition of the Spokane Chronicle, Mrs. Sweeney was very fond of New York, and she and her husband lived there for several months out of the year. One year after the orphanage received the home, they sold it to Mr. Patrick Welch for $38,000. Mr. Welch was the last owner to use the home as a private residence. 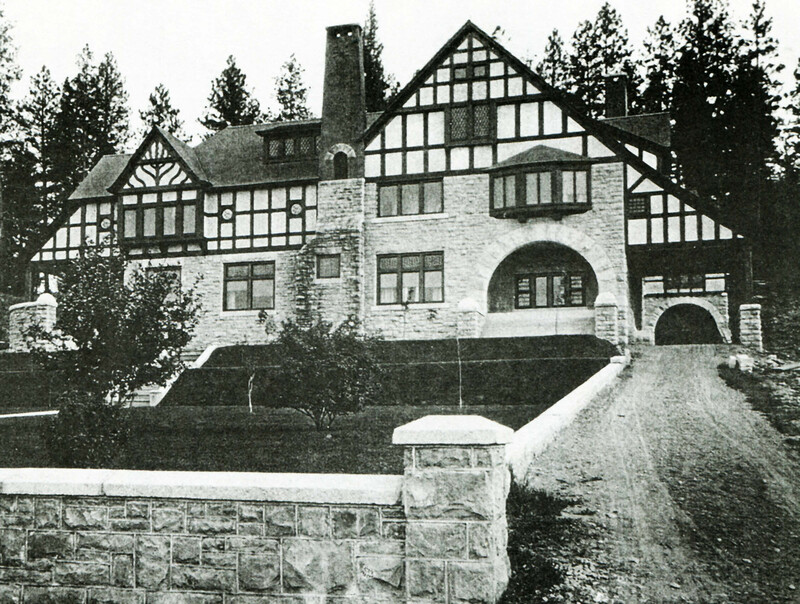 Welch finally sold the mansion in 1943 to the Unitarian Church of Spokane. In 1991, the mansion was sold to Neila Poteshman and Tod Doran, and the edifice underwent a renovation that included an updated commercial kitchen. Since the Unitarian Church sold the mansion, it has had various owners and served as a restaurant and a venue for special events, including lavish weddings. Some of Spokane’s most beautiful society weddings have been celebrated in the mansion, the first being the 1908 wedding of Mabel Welch and Frederick Wilson. This wedding was attended by Spokane’s “elite” as reported by the Spokane Chronicle, and this began the tradition of beautiful and elegant weddings for which the Glover Mansion has become known. The current owner, Bob Adolfson, continues to offer the mansion for weddings and special events. Loved the article. Thanks so for it.